Asser International Sports Law Blog | FIFA’s provision on the protection of minors - Part 1: The Early Years. By Kester Mekenkamp. ← FIFA’s provision on the protection of minors - Part 2: The 2009 reform and its aftermath. By Kester Mekenkamp. On 24 November 2016, a claim was lodged before a Zurich commercial court against FIFA’s transfer regulations by a 17-year-old African football player. The culprit, according to the allegation: The provision on the protection of minors, Article 19 of the Regulations for the Status and Transfer of Players. The claimant and his parents dispute the validity of this measure, based on the view that it discriminates between football players from the European Union and those from third countries. Besides to Swiss cartel law, the claim is substantiated on EU citizenship rights, free movement and competition law. Evidently, it is difficult to assess the claim’s chance of success based on the sparse information provided in the press. 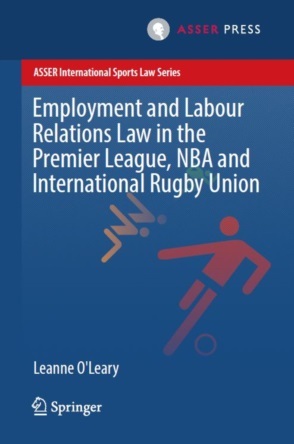 Be that as it may, it does provide for an ideal (and unexpected) opportunity to delve into the fascinating subject of my master thesis on FIFA’s regulatory system aimed at enhancing the protection of young football players and its compatibility with EU law. This three-part blog shall therefore try to provide an encompassing overview of the rule’s lifespan since its inception in 2001. This first part will shed its light on the “birth” and “first years” of the provision, thereby illustrating the relevant developments from 2001 till 2009. The heart of this analysis is formed by two decisions of the Court of Arbitration for Sport (“CAS”): The Acuña and FC Midtjylland case. The second part shall subsequently cover the rule’s “adolescent years”, which span from 2009 to the present. Therein, the major changes put forward in the 2009, 2015 and 2016 versions of the RSTP will be addressed, together with the important CAS decisions concerning Article 19. The third, and final, part will constitute a substantive assessment of the provision under EU Internal Market law. The 2001 “Commission-condoned” FIFA transfer rules included for the first time a section dedicated to the enhancement of the protection of minors. An accompanying circular by FIFA stipulated that the new transfer rules imposed strict conditions “in order to provide a stable environment for the training and education of players”. Moreover, stating that abuses frequent in the past had to be tackled, it seemed to inaugurate a new era of safeguarding young footballers. The starting point of the new provision is a general prohibition for players under the age of 18 (“minor”) to transfer internationally. The same principles apply to a so-called “first registration” of a minor who requests to be registered in a country other than that of his nationality. An absolute transfer ban however was apparently deemed too radical. The prohibition was therefore made subject to two exceptions. Firstly, the “parents-rule” allows for minors to transfer internationally when their family moves to a country, in which the new club is located, for “reasons not related to football”. Secondly, within the territory of the EU and EEA, players younger than 18 but above the minimum working age can transfer internationally, given that their sporting and academic education is guaranteed by the new training club. FIFA further stressed its intention to issue, together with UEFA, a code of conduct guiding the national associations regarding these conditional arrangements. However, this self-obligation was removed from the subsequent 2005 edition of the RSTP. Only a year after the introduction of the new rules, the first adaptations were made in response to concerns raised by national associations. FIFA’s Players Status Committee (“PSC”, FIFA’s competent body adjudicating any disputes on matters related to the protection of minors) decided to add a third exception, which became known as the “50 + 50-rule”. Hereby it aimed at dealing with the case of players living close to national borders where “cross-border traffic is a daily matter”. Those young players living within this 50 km range may attend a club of a neighbouring association if that club is similarly situated within a 50 km distance of the border, provided that these players remain living at home. The two-part FIFA Circular is rather ambiguous in its explanation, stating on the one hand that minors in this situation can solely “train” with the club situated across the border, while on the other hand introducing a full exception to the transfer ban (thereby permitting a “complete” international transfer). This latter view is in accordance with the regulations’ revision that entered into force on 1 July 2005. Next to adding the “50 + 50-rule”, the new article 19 RSTP slightly adjusted and hence further clarified the first two exceptions. A minor can transfer internationally only if his “parents” move to another country for reasons not related to football, restricting the scope of the rule from “family” to “parents”. Moreover, with respect to the “EU and EEA-rule” it set the international standard of 16 as the minimum age and spelled out several additional requirements on the arrangements made by the recruiting club for the academic education of the transferred player. These oblige the club to: “provide the player with an adequate football education and/or training in line with the highest national standards”; “guarantee an academic or vocational education which will allow the player to pursue a career other than football”; “ensure that the player is looked after in the best possible way” by arranging housing with optimal living standards; and “provide its association with proof of compliance”. Importantly, paragraph 4 orders national associations to safeguard compliance by clubs and paragraph 5 installs the PSC as the competent body to adjudicate in this field. Hence, more explicit accountability and control was established concerning the abidance with the rules on the protection of minors. In early 2007, FIFA issued a commentary on the RSTP in order to further clarify the separate provisions. It stipulated that the international transfer of minors should be subject to stern restrictions in order to provide a stable environment for the player’s training and education. Furthermore, “the term ‘parents’ has to be understood in a strict way”, a minor therefore cannot live with a close relative in the country of the new club. The document acknowledges that the “EU and EEA-rule” was adopted as to not interfere with EU free movement law. National associations are once more reminded that they possess a vital role in ensuring compliance, amongst other by carrying our on-spot investigations regarding the mandatory educational arrangements if need be. These rules have not operated in a vacuum. The real effect of the provisions on the protection of minors has been shaped by the judicial practice of FIFA, through the PSC, and first and foremost the Court of Arbitration for Sport (“CAS”, the competent institution that deals with appeals contra FIFA’s internal decisions). The first (published) case before the CAS concerning a dispute on the provision’s content was Càdiz C.F. and Carlos Javier Acuña Caballero v. FIFA and Asociación Paraguaya de Fútbol. In January 2005, the 16-year-old Acuña Caballero represented his Paraguayan club Olimpia in an international tournament for players under 20. His successful performance led to foreign interest, and on 14 February 2005 he, together with his family, left Paraguay for Cádiz, Spain. Three days later, Cádiz C.F. (a club meandering through the Spanish second and third league) and the player signed an employment contract, and subsequently Olimpia agreed to the transfer. However the Paraguayan football association refused to issue the compulsory international transfer certificate (“ITC”), referring to Acuña Caballero’s age. The FIFA PSC decided upon the matter on 26 August 2005 by verifying whether the requirements of the “parents-rule” of Article 19(2)(a) RSTP were observed. By highlighting the apparent lack of intention to continue his education besides football, as well as the fact that the mother’s employment contract commenced much later than her son’s, the PSC found the case to be in total contradiction with the letter and spirit of the exemption: “the mother would have followed the player”, instead of the other way round. The PSC noted that the protection of minors is one of the fundamental principles of the RSTP, which requires the strict application of Article 19, and consequently refused the request of the Spanish association to register Acuña with Cádiz C.F. Both the club and the player appealed this decision before the CAS, after which the tribunal organized a hearing of all parties concerned and several witnesses in order to grasp the factual context of this international transfer. The CAS Panel swiftly countered the appellants’ views by stating that FIFA’s rules limiting the international transfer of minors do not violate any mandatory principle of public policy under Swiss law or any other national or international law, insofar that “they pursue a legitimate objective, namely the protection of young players from international transfers which could disrupt their lives, particularly if, as often happens the football career eventually fails or, anyways, is not as successful as expected and they are proportionate to the objective sought, as they provide for some reasonable exceptions”. Subsequently it explained that, it had to be determined whether the move of the mother was related to the transfer of her son, and ergo whether the exception of article 19(2)(a) was applicable? The Panel found that “the players’ decision to move to Spain was made first”, by emphasizing the inconsistencies in the appellants’ statements, and as a result thereof doubting their truthfulness. Furthermore, the club’s submission stated that “from all the possibilities, the offer made by CÁDIZ C.F. was the most suited to his parents’ wishes”, which lead the Panel to believe that in fact the clubs’ offer for her son made the mother look for a suitable job in Cádiz. As such, the Panel established that the appellants could not benefit from the exception, since it concluded that Acuña’s family moved “for reasons linked to football”. The Acuña case exhibits a strict application of the rule. This strict application, although being in line with FIFA’s policy, lead to a disadvantageous outcome for the minor in question. As argued by the player, his life in Paraguay meant living alone in a small apartment at his agent’s house and only seeing his mother two or three times a year. The move to Spain allowed him to live with his mother and was therefore positive for both his career and his family. The CAS Panel addressed this matter by stating that “the task of the CAS is not to revise the content of the applicable rules but only to apply them”. Moreover, it stressed that any adverse consequences in relation to the refusal to allow the player to be registered with the club were the result of the appellants own actions. The Panel finally put forward that the player would not have to face the adverse consequence for long as he would turn 18 in a couple of months. The next confrontation followed suit: the case of FC Midtjylland. The Danish Superligaen club came in FIFA’s crosshairs through a FIFPro complaint concerning the signing of six young Nigerians. These players were registered as amateurs and played for Midtjylland’s youth teams. Additionally, they were granted short-term residence permits as students, excluding the right to work, and enrolled in the Danish educational program. The FIFA PSC emphasized that Article 19 RSTP on the protection of minors, being one of the principles included in the FIFA/UEFA and European Commission agreement and “one of the pillars of the regulations”, is applicable to both amateur and professional players. Thereto, only a strict, consistent and systematically implemented interdiction subject to very limited exceptions could stop the abuse and maltreatment of many young players. The PSC hence warned the Danish Football Association (DBU) and FC Midtjylland, and subsequently refused the registration of the players. 1. Is it applicable to both professional and amateur minor players? 2. What are the exceptions and are any of these applicable? 3. Does the application of the provision “contradict any mandatory provision of public policy or any of the provisions of EC Law”? Is there a breach of the non-discrimination principle, following the alleged inconsistent approach of FIFA? In short, the Panel answered the first question in the affirmative, based on a textual approach together with taking due notice of the intended objective as “to apply Art. 19 of the RSTP restrictively to professional players only could result in obviating protection of young amateur players from the risk of abuse and ill treatment”. As to the second question, it was noted that the codified exceptions provided in Article 19(2) RSTP were not applicable to the case at hand. Nevertheless, the Panel regarded this list not to be exhaustive and allowed for two additional exceptions relating to students: first, “where the players concerned could establish without any doubt that the reason for relocation to another country was related to their studies, and not to their activity as football players”, and second, “where the association of origin and the new club of the players concerned have signed an agreement within the scope of a development program for young players under certain strict conditions (agreement on the academic and/or school education, authorization granted for a limited period of time)”. Yet, neither of these additional exceptions applied here. The third issue was related to appellant’s Cotonou Agreement argument. The Panel agreed that the non-discrimination rights are conferred by article 13(3) of the Cotonou Agreement to “Workers of ACP countries legally employed in its territory”. Nonetheless, the Nigerian players in question are to be considered as “students”, not as “workers” legally employed in Denmark, which means they fall outside the scope of this provision. The Panel moreover dismissed, based on that same reasoning, the appellant’s claim founded on the Simutenkov case in their attempt for the “EU and EEA-rule” of Article 19(2)(b) RSTP to be applicable. The Panel furthermore stressed with regard to this third question that agreements between the EU and third countries that prohibit discrimination in working conditions are clearly limited in scope to foreigners “legally employed in the Member States” and do not concern access to the employment market. It also endorsed the Acuña case in that the FIFA rules limiting the international transfer of minor players “do not violate any mandatory principle of public policy and do not constitute any restriction to the fundamental rights that would have to be considered as not admissible”. Lastly on the fourth issue, in reaction to the appellant’s allegation that FIFA’s approach was inconsistent and favoured bigger clubs (by reference to Bayern München’s registering a minor player from South America), the CAS solely pointed at the general principle “that no one can claim for equal treatment by referring to someone else who has adopted an illegal conduct, without sanction (nemini dolus alienus prodesse debet)”. Concluding, FC Midtjylland was found to have breached Article 19 RSTP as the CAS favoured a strict interpretation, yet simultaneously, it allowed for two additional implicit exceptions for students. Around this point in time, the European Commission’s attention was also drawn to the protection of minors in sport. In its white paper on sport, it pointed at “children who are not selected for competitions and abandoned in a foreign country, often falling in this way in an irregular position which fosters their further exploitation”. Even though it makes reference to neither of the two abovementioned cases, this explicit consideration by the Commission, emphasizing the importance of protecting minors, could be seen as an indirect endorsement, prima facie, of the strict interpretation of Article 19 RSTP by CAS. The next, second, part of this blog series shall aim to cover the rule’s “adolescent years”, which span from 2009 to the present. The major changes put forward in the 2009, 2015 and 2016 versions of the RSTP will be addressed. Furthermore, important CAS decisions concerning Article 19, Muhic, Vada I and II, FC Barcelona, RFEF, and the FIFA decisions relating to Real and Atlético Madrid, will be at the centre of the attention. The text of this blog contribution is part of my forthcoming thesis, which shall be submitted in order to complete my master’s degree in European Law at Leiden University. Art. 12 FIFA RSTP 2001. FIFA Circular no. 769, 24 August 2001. N. St. Cyr Clarke, “The beauty and the beast: Taming the ugly side of the people’s game”, 2011 CJEL, P. 627. Art. 12(1) FIFA RSTP 2001. Art. 12(2) FIFA RSTP 2001. Press release EU Commission, IP/01/29, 14 February 2001. Art. 12(1)(a) FIFA RSTP 2001. Art. 12(1)(b) FIFA RSTP 2001. F. de Weger, “The Jurisprudence of the FIFA Dispute Resolution Chamber”, 2nd edition, Asser Press (2016), p. 14. FIFA Circular no. 801, 28 March 2002. Supra at 14, pp. 36-37. New Art. 12(1)(c) FIFA RSTP 2001 in FIFA Circular no. 801, 28 March 2002, “Amendments to the FIFA Regulations for the Status and Transfer of Players”. Art. 19(2)(c) FIFA RSTP 2005. Art. 19(2)(a) FIFA RSTP 2005. Art. 19(2)(b) FIFA RSTP 2005. C. Lembo, “FIFA Transfer Regulations and UEFA Player Eligibility Rules: Major Changes In European Football And The Negative Effect On Minors”, Emory Int'l L. Rev 2005, p. 557. Art. 19(4) and 19(5) FIFA RSTP 2005. FIFA Circular no. 1075, 18 January 2007. Commentary on the Status and Transfer of Players, p. 58. For more information see A. Duval, “The FIFA Regulations on the Status and Transfer of Players: Transnational Law-Making in the Shadow of Bosman” in A. Duval and B. Van Rompuy (Eds.) “The Legacy of Bosman”, Asser Press (2016), pp. 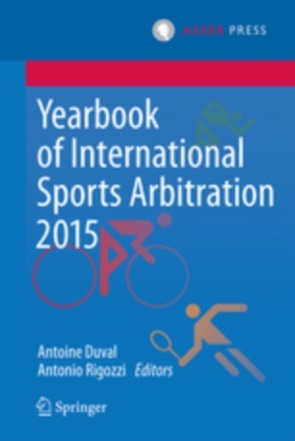 81-116; A. Duval “The Court of Arbitration for Sport and EU Law. Chronicle of an Encounter”, MJ 2015, pp. 224-256. CAS 2005/A/955 Càdiz C.F., SAD v FIFA and Asociación Paraguaya de Fútbol and CAS 2005/A/956 Carlos Javier Acuña Caballero v/FIFA and Asociación Paraguaya de Fútbol. Ibid, paras. 7.3.2-7.3.5; Especially the circumstances surrounding the mother’s search for a job, the agreement between her and her employer, and the reasons why she decided to take up work in Cádiz while, being a cook, she could have worked anywhere in Spain, did not assist to their case. Supra at 30, para. 3.3.5 and 3.11. CAS 2008/A/1485 FC Midtjylland A/S v. Féderation Internationale de Football Association. A. Wild, “Young Football Players: Protection of Minors” in “CAS and Football: Landmark Cases”, Asser Press (2012), p. 249. Supra at 46, p. 3. The Cotonou agreement between the EU and certain African, Caribbean and Pacific States, including Nigeria; Ibid, paras. 30-31. Supra at 46, para. 35. Case C-265/03 Simutenkov v Ministerio de Educación y Cultura and RFEFl  ECR I-2579, Therein the ECJ ruled that non-EU/EEA sportsmen can challenge nationality clauses if: they are legally employed in a host EU Member State and “can rely upon a directly effective equal treatment provision included in an international agreement establishing a partnership between the EU and their country of origin, regardless of whether accession to the EU is envisaged or not”, see S. Van den Bogaert, “From Bosman to Bernard” in J. Anderson (Ed. ), “Leading Cases in Sports Law”, T.M.C. Asser Press (2013), p. 104. Supra at 46, para. 40. Ibid, para. 45; Supra at 30, para. 7.2. Supra at 46, paras. 47-49. The White Paper on Sport (COM 2007) 391 final, point 4.5; European Parliament, Report on the on the future of professional football in Europe (2006/2130(INI)), p. 25.